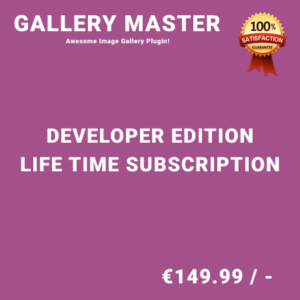 Gallery Master is an effective WordPress Gallery Plugin. It enables you to create beautiful, responsive photo galleries, while allowing you complete control over its settings. 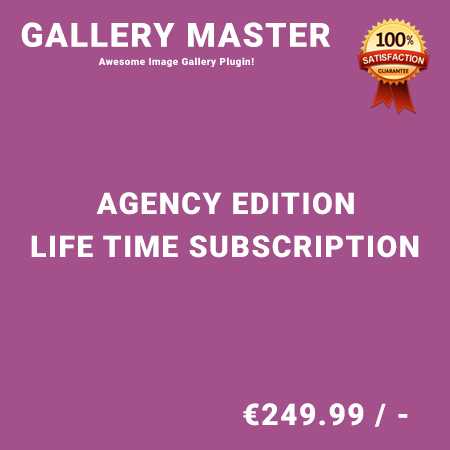 Gallery Master lets you add professional-looking galleries and lightbox to your posts or pages. You can easily add images to a portfolio, as well as edit title, descriptions, and links for each image. You can display a gallery in a Thumbnail Layout, Masonry Layout, as a Slider or as a Justified Grid and many more. This plugin has been incredible for us and the support is very responsive and helpful! Great job and Thank you! It works perfect, but i asked for a modification and the support was excellent.Highly recommended. This gallery is really brilliant. Easy to configure and do what it should do. And the customer support is also brilliant.